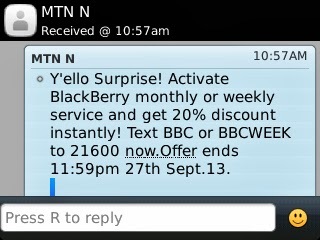 MTN is at it again oo, just two days ago MTN gave me 21days free for Auto renewing my Bis subscription, i was amazed but happy as well, all of a sudden MTN sent me a text message today indicating that they are doing a promo which starts from today and will run till 27th sept 2013 . Below is a screenshot of the text message that was sent to me. What this means is that if you subscribe for BBC or BBCWEEK you will be given a discount of 20% . 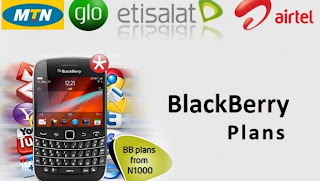 @Osakue, you are right Mtn is tricky, well a week bis datacap is between 2-3gb. 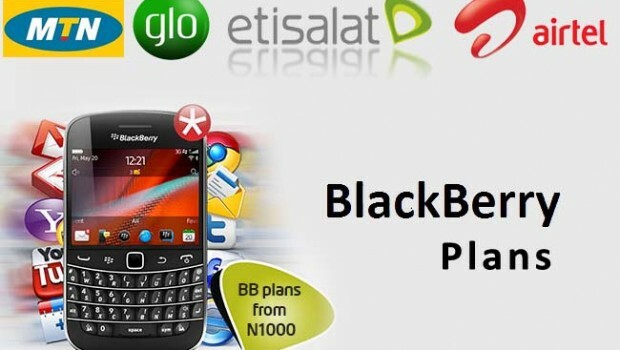 The benefit of The promo is that u will be charged 20% less than the normal Bbc price.